I have a binary raster which I've classified into patches using raster::clump. I now want to efficiently calculate the edge-to-edge, i.e. minimum, pairwise distance between patches. I am currently doing this by converting to polygons then using rgeos::gDistance; however, I need to do this with a large number of large rasters and I'm hoping there's a more efficient and direct method avoiding the conversion. Edited to add some additional info: This will ideally be part of optimization exercise using simulated annealing. Therefore calculating these distances will need to be done many thousands of times as the algorithm progresses. Hence the need for efficiency. I'm hoping to keep this within R, but if it turns out there's no more efficient approach than what I already have, I'll likely look to using other tools, like C.
Browse other questions tagged raster r distance-matrix or ask your own question. 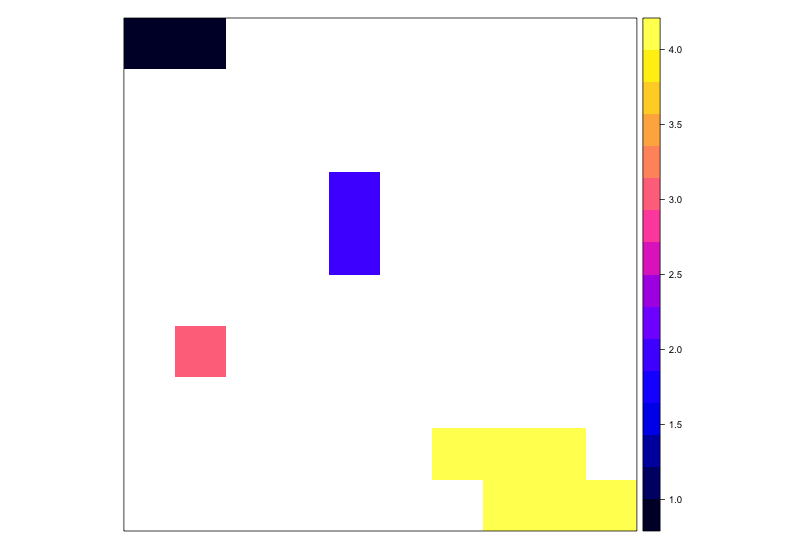 How to calculate distance on large raster in R?